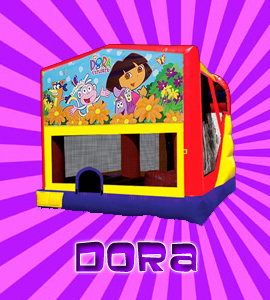 Our commercial bounce houses measure 15’x15′ and are approximately 14′ tall. Suitable for up to 1000 lbs. total, with a 200 lb. max per person. All our bouncers are modular, primary colors, and gender-neutral. 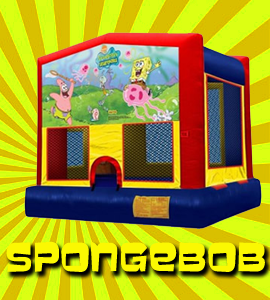 Order a bounce house now! 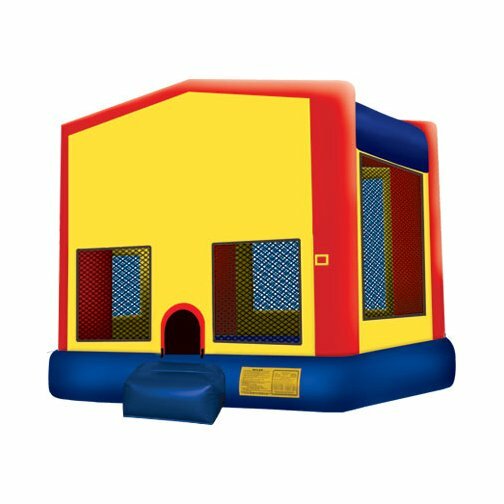 All of our commercial bounce houses measure 15’x15′ and are approximately 14′ tall, suitable for 200 lbs. pp, with a 1000 lb. max. 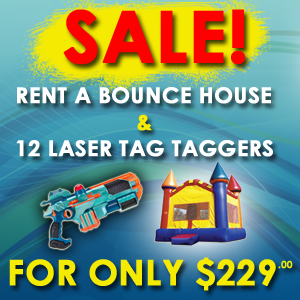 They are not only the least expensive inflatable we rent, they are the most popular too. Don’t be afraid to hop in and try it for yourself! 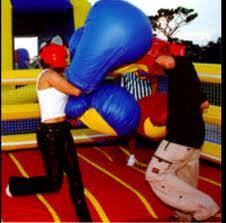 These giant boxing gloves are a great add-on to any party. Nine different fun themes to choose from: Superheroes (Batman, Spider-Man and Iron Man), Disney Princess, Diego, Mickey, Elmo, “HAPPY BIRTHDAY”, and Nascar! Add delivery for only $65. Put on some padded headgear (included), hop up on the jousting pedestals, and duke it out with your friends. Whoever remains standing is the winner! 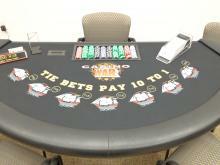 Priced for self-pickup/return–add just $65 (optional) and we’ll take care of Delivery, Set-up, and Tear-down.